You know how you wouldn’t ask for your first date’s hand in marriage because, well, that’s just creepy? Without lead nurturing, this is exactly what you are doing with your leads. Since 50% of your incoming leads are not yet ready to buy, coming on too strong too early can result in a lot of wasted time and resources. Becoming a lead is just the beginning of a prospect’s journey. At this stage, leads may not be ready to purchase and will need time to get used to your brand and feel comfortable buying from you. 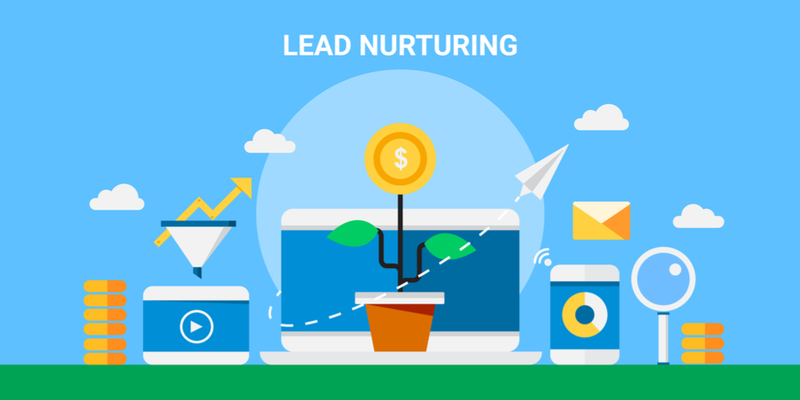 Lead nurturing “courts” your leads and builds a relationship with them so when it comes time to buy, they have enough trust to open their wallets and give you their money. Instead of coming on too strong, some companies completely neglect their leads and never interact with them after they subscribe. Whether you are selling too fast or not courting leads at all, without lead nurturing, many of them will never convert. With lead nurturing you focus on your prospect’s needs and connect with them during each stage of the buyer’s journey. It’s a selfless act, one in which you focus all of your attention on the prospect. The more you can meet their needs, the higher your conversions. In fact, companies that excel at lead nurturing close 50% more sales for 33% less cost. If you could close more leads and spend less, how would that affect your campaigns? Don’t neglect your leads AND don’t come on too strong. It’s a delicate balance and one that may take some time to master. But, doing nothing at all is a crime. With some lead nurturing, you can massage those relationships to increase sales. Did you know that effective lead nurturing starts long before a prospect opts in? It’s similar to buying a new dress or suit to prep for a big first date. You put your best foot forward to make a good first impression. Making a good first impression is key to snagging high-quality leads. One of the ways to attract these leads is to publish free high-value content that pleases your audience. Pre opt-in content is essential since at least half of your leads will consume 3-5 pieces of content before they even engage with a salesperson. Your content may be the first impression leads have of your brand. Whether social, blogs, or any other free educational content, its purpose is to get people primed to take action and become a lead. To do this the right way, your content must be high value and attract people to your company. It solves your targets’ problems and answers their questions. If you haven’t done a slew of target audience research, then you are likely not doing this one right. It’s actionable. It doesn’t just throw out tips but dives deep into how to implement them. It never leaves readers with unanswered questions. It gives away a LOT for free. Don’t be afraid to give some of your gold away. It’s a misconception that if you give away value for free, people won’t buy your premium products. If you are offering high value for free, what must your paid products be like? People will be more attracted to your paid products if you give away stellar content. Your content is top-notch and you are generating leads on autopilot. Good for you! But does your lead offer follow suit and exceed your lead’s expectations? Some companies neglect the actual lead offering because their main focus was on getting the lead to opt in. They weren’t as concerned with what happens after. The problem with neglecting the quality of the offering is that you thwart the entire relationship-building process. It’s similar to you dating someone for six months and then refusing to buy him/her a birthday gift. Immediately that person looks at you different—trust is lost, and it’s not that easy to get it back. It’s a lot easier to put in the extra time to avoid these issues than to try to recover someone’s trust after the fact. How do you create exceptional lead offers? Take the tips we outlined in the last section and apply them to your lead offers. It must communicate directly to your leads, provide actionable information, and go above and beyond expectations. In addition, it MUST live up to your promise. If in your call to action you promise an in-depth e-book on getting Instagram followers, don’t show up with a three-page short guide that links out to a bunch of other resources. If you don’t know what a good lead offer looks like, research your competitors, download their offers, and put yourself in the mind of an objective prospect. Can you say, without a doubt, that you put 100% effort into making this lead offer the most targeted, professional, high-value piece for your prospects? If there is any shred of doubt, it’s not good enough. As we mentioned before, nearly 50% of your leads are not ready to buy once they become a lead. In our experience, this percentage may be even higher. These leads need more to inform their buying decision. This is where segmentation comes in. If you send all of your leads the same information (aka large email blasts), you won’t get the maximum number of conversions and your leads may become disinterested. Your emails should be relevant to your prospect’s needs. Relevant emails drive 18 times more revenue than email blasts. Segmenting allows you to group your leads into subgroups defined by interests or behavior so your messages can be highly relevant. You will achieve much better returns with this level of personalization because people will feel like you are talking directly to them and they will also get their questions answered. According to the Lyris Annual Email Optimizer Report, nearly 40% of marketers who used email segmenting noticed higher open rates and 24% experienced higher revenue. Here’s an example: Let’s say you offer a free webinar to your leads as an incentive for opting in. Segmenting the leads could mean tracking who watched the webinar and who didn’t. To those who watched the webinar, send something that goes into a little more depth or offer them a chance to demo your product for free. But, to the people who registered but did not watch the webinar, you could send another piece of free content related to the subject but easier to digest. Or if they haven’t opened an email in a while, add them to a re-engagement campaign. They may not be ready to pull the trigger just yet on a free trial, so you don’t want to turn them away and act too soon. One other example would be an activity-based signal. Target the leads who visited your pricing page and stayed on it for a minute or more but didn’t purchase. Send these visitors emails with case studies, free trial links, and/or product discounts. These are just a couple of examples of the many ways that segmenting can help you target your prospects to offer them a more rewarding personalized experience. Once a lead opts in, the real nurturing begins. And one of the best ways to nurture leads is via email marketing. Here are some emails you can send to nurture your leads, build a relationship, and make them more comfortable with the idea of working with you. The welcome email is the first interaction you have with your lead on the “inside.” Though this may seem like a simple email to craft, it’s vital that this email does its job courting leads and keeping their interest. In the welcome email, you are giving leads the content you promised them in the opt-in. This is a minimum requirement. But you will need to go above and beyond if you want to capture their attention and begin the trust journey with them. Use the person’s name in the subject line and keep the email friendly and personal. Avoid corporate and stuffy communications as well. The goal is to evoke an emotional response and a feeling of connection or affiliation with your brand. Give people an easy way to contact support to show you are ready and willing to help and answer their questions. This also helps to keep the conversation going. Don’t promote your products. The welcome email is 100% focused on the lead. Unless you are offering a free consultation or something similar, avoid prompting the reader to take any action that requires them to give you money. If you really want to capture a lead’s heart and increase the chances of continuing the relationship, over deliver in your welcome email. One way to do this is to ask your prospects where they need help. They can reply to your email or add their answers in a survey format. The purpose is to show them you care about their needs and you are focused on helping them. Another “above and beyond” tip is to tell them what to expect in the future. Though they signed up for your free offer, they are now on your list and will get future emails. Let them know what this looks like so they aren’t surprised later on. Newsletters are periodic emails that notify the subscriber of content/blog releases or company happenings. These emails keep your brand top of mind and also provide free advice, content, or updates that may interest the user. Any time you create a new free offering, send off an email to notify your subscribers. These free content emails are meant to offer high value to your list and show them your generosity. This goes a long way in building trust. Extra bonus points if you send highly relevant emails based on your segments. For example, segment leads based on the website content and lead offers they have read and downloaded. Use these segmented interests to send tailored content (matches their interests) to your leads, whether simple newsletters or new content additions. At some point, it will be time to send your leads a promotional email. If you have built enough trust with your nurturing campaigns, they will respond well to your sales message. Timing is everything. 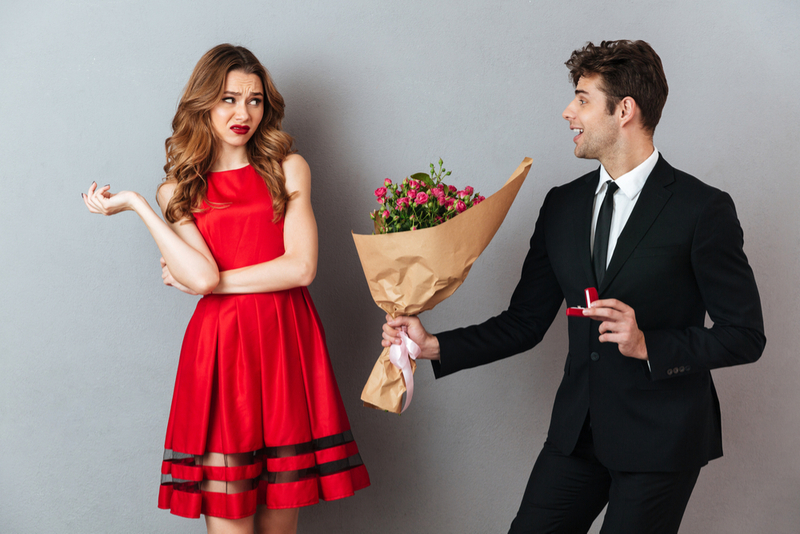 As we explained early on, pop the question too early, and things can go south quickly. We can’t tell you exactly when to send off a sales email, but consider the perceived value of your product when determining the time duration. For example, if you are selling a digital course priced at $1,997, most leads will need some nurture time before they are ready to buy. If you are selling a graphics program priced at $9.99 / month, which includes a free trial, you can promote much earlier. 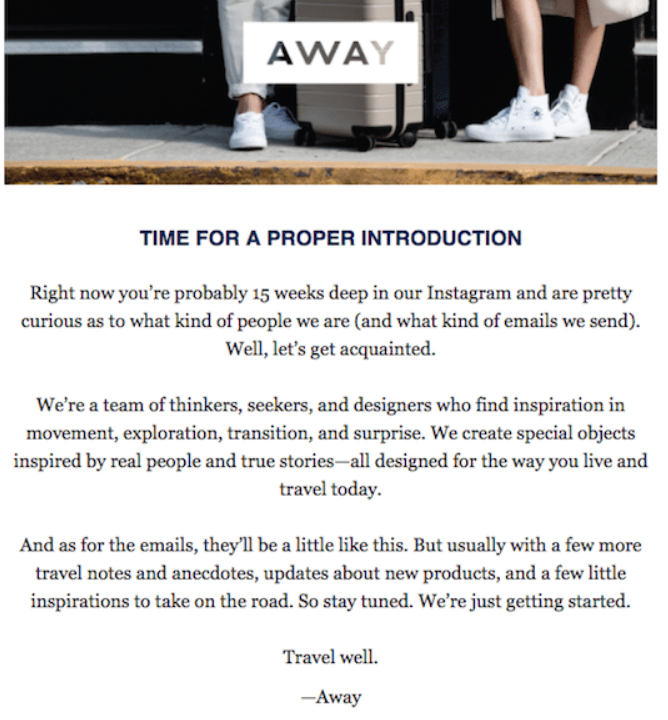 Some marketers even send promotional emails directly after the welcome email. Test out different time periods to see which one converts the highest. Recapture those lost leads by implementing some of these lead nurturing tactics. With just a few emails, you can start sealing up the holes in your lead campaigns, capture more attention, and increase conversions. Have you created a lead nurturing campaign yet? If not, we can help. Let us know what problems you are facing and we’d be happy to help you through them. Contact us here for a free consultation.